Google and AOL have restored the interoperability between their two instant messaging (IM) networks, a little over two weeks after it was temporarily suspended due to a spam flood originating in AOL's AIM that affected Gmail Chat and Google Talk users. An AOL official originally forecasted that a fix to the spam problem could be rolled out on Thursday of last week, but the process took a bit longer, finally culminating on Tuesday. The interoperability between the two IM networks is now again active and everything is "running smoothly," an AOL spokeswoman said via e-mail. This means that users logged into the Google network can engage in IM sessions with users who are on the AIM network. Without the interoperability, people need to have separate accounts for both services, using the Google account to communicate with users on Google's network and the AIM account for communicating with users on the AIM network. Google didn't immediately respond to a request for comment, but when contacted last week about this issue, a Google spokeswoman deferred comment to AOL. In the past week, there have been several published reports that AOL is planning layoffs, and that the AIM team will be particularly hard hit by the staff reduction. On Tuesday, The New York Times reported that already about 40 AOL employees have gotten pink slips, among them many AIM staffers. 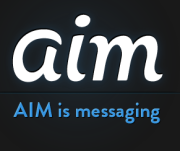 AIM generates about $50 million in annual revenue, and costs about half as much to operate, so AOL wants to slash AIM costs dramatically to around $2 million to $3 million per year, the Times reported, citing information from anonymous sources. The AOL spokeswoman declined to comment about the layoff reports.